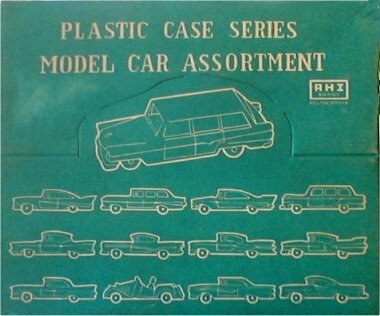 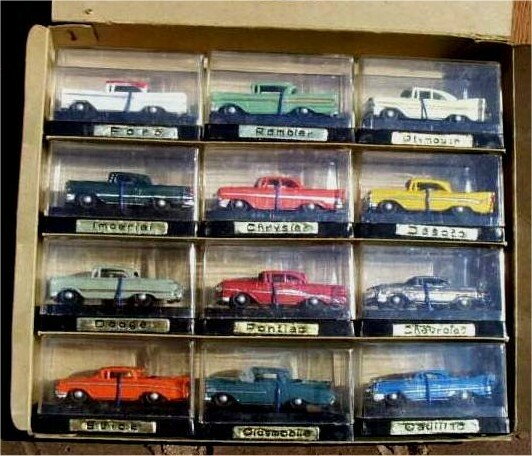 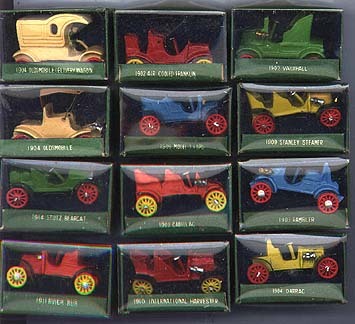 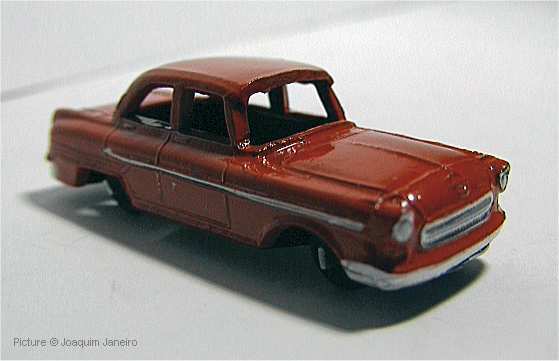 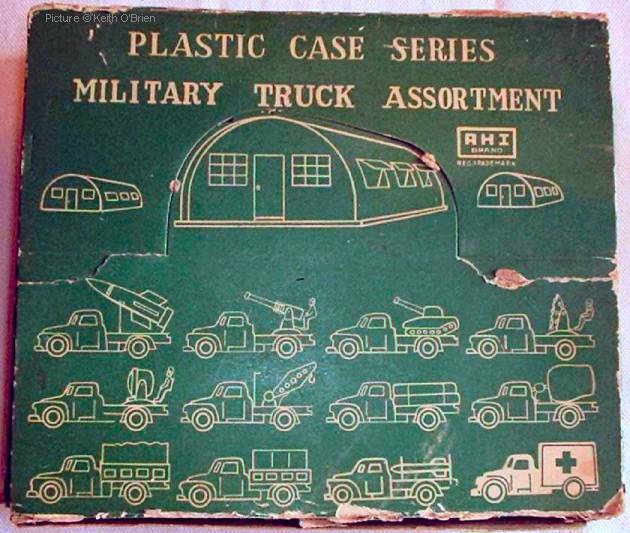 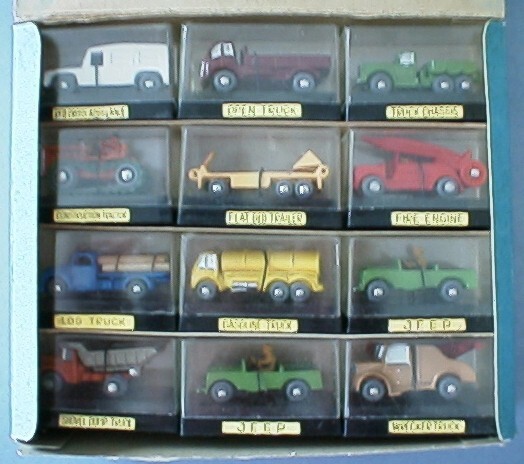 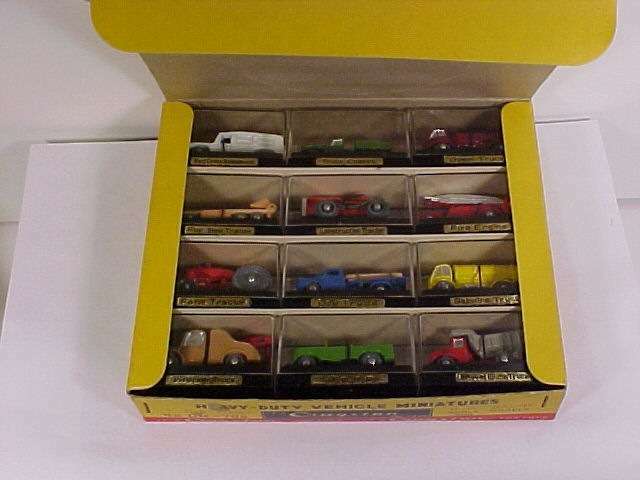 Simple die-cast models, made in Japan. 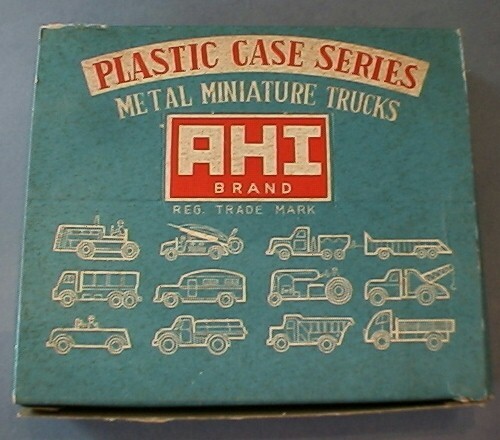 It is not quite clear where the AHI name comes from, it could originate from AHI Brand Toys from Japan but the AHI brand was also used by Japanese tin-toys manufacturer Naito Shoten and according to an article in the June 2003 issue of 'Toy Cars and Models' magazine, AHI stands for Azrak-Hamway International, Inc., a US toy distributor/manufacturer. 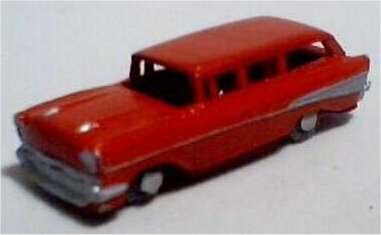 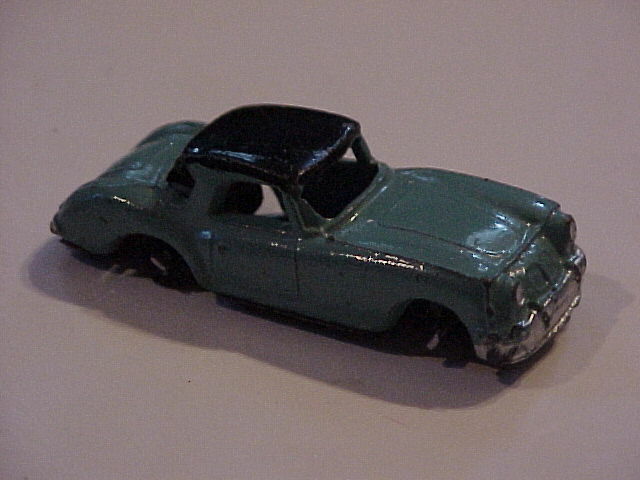 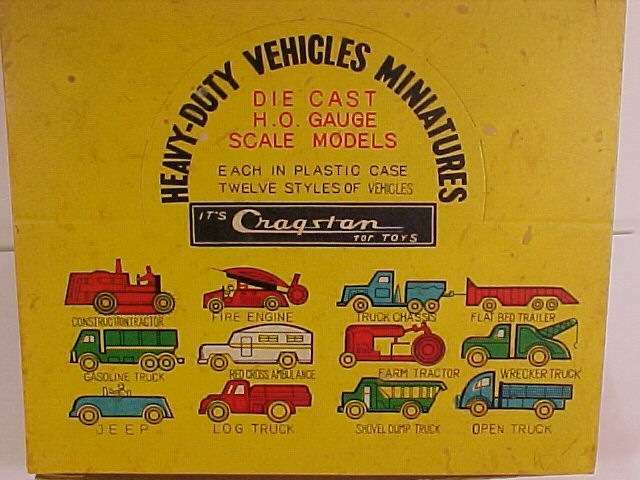 AHI models were also sold in the US as Cragstan Models, (Cragstan Industries Inc. from New York, was a US distributor that specialized in toys, mainly from Japan which was founded in 1930 and seized to exist around 1970), and probably by Chadwick Miller. 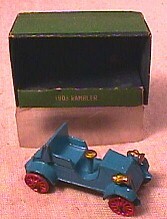 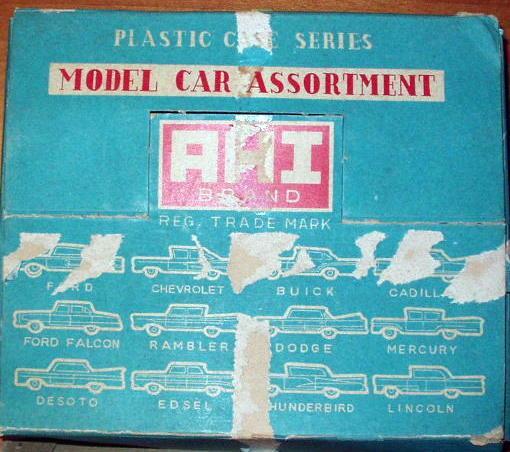 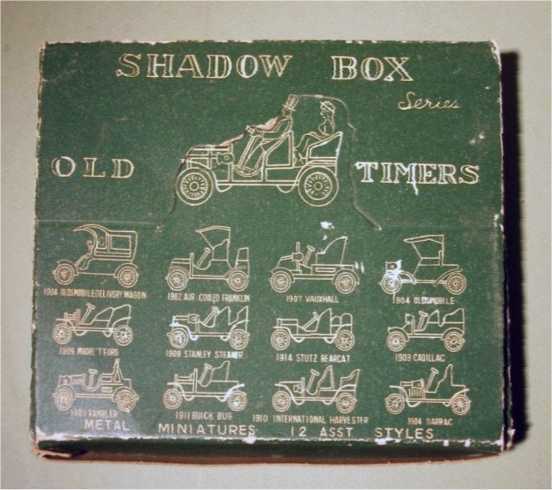 Models identical to the AHI models were also sold in the US in boxes labelled Ace Imp. 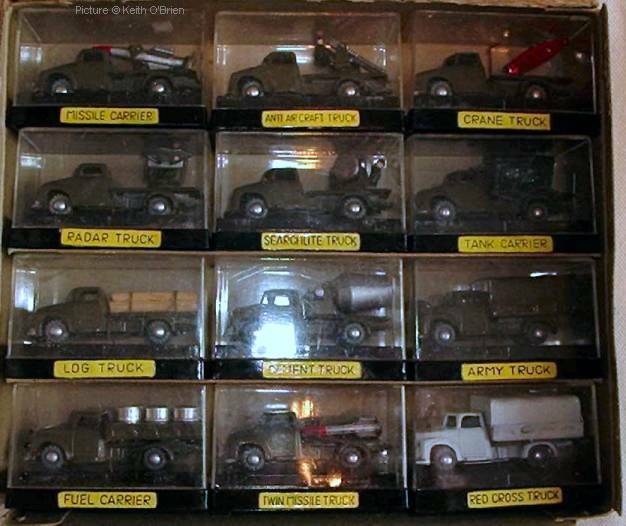 Co..
? 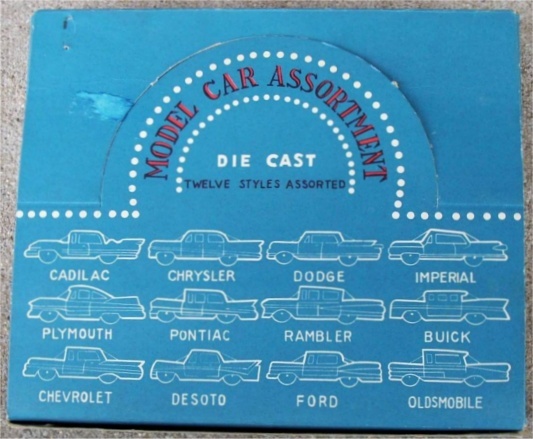 Ford Model A ? 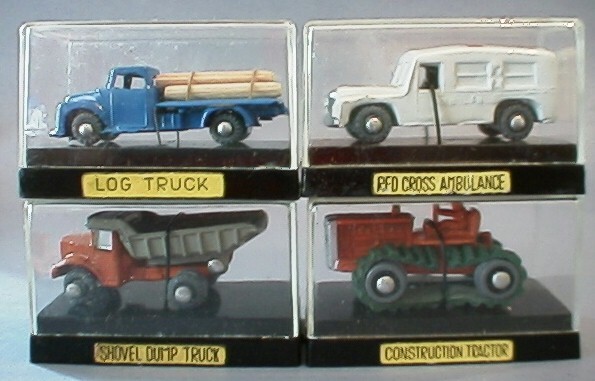 There was also a series of modern trucks and construction machinery. 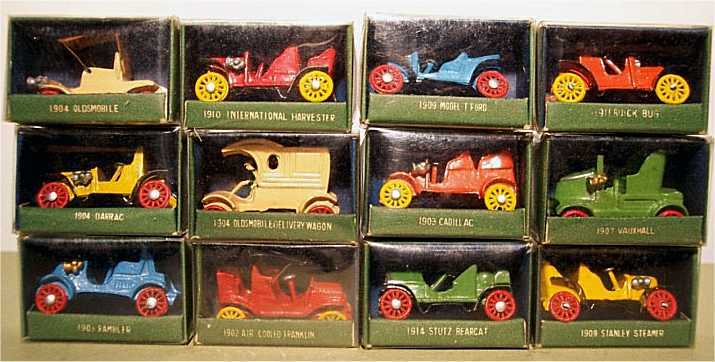 We are still looking for the ref# for these models ! 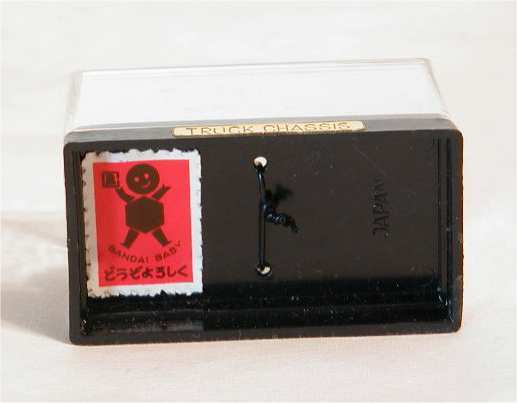 To keep loading times at an acceptable level, we have thumbnailed the following pictures.The pictures show several types of boxes and their contents. 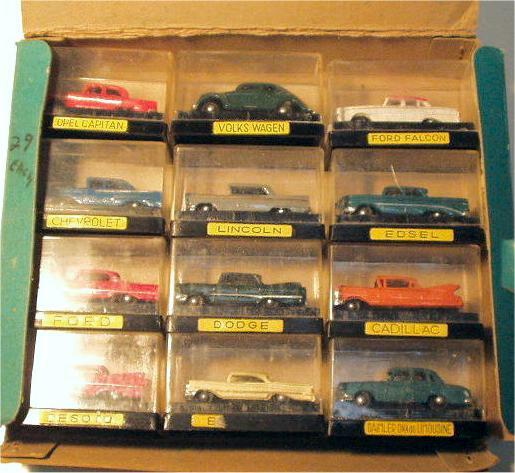 Click the thumbnail to see the full-size picture and use your browsers back-button to return here. 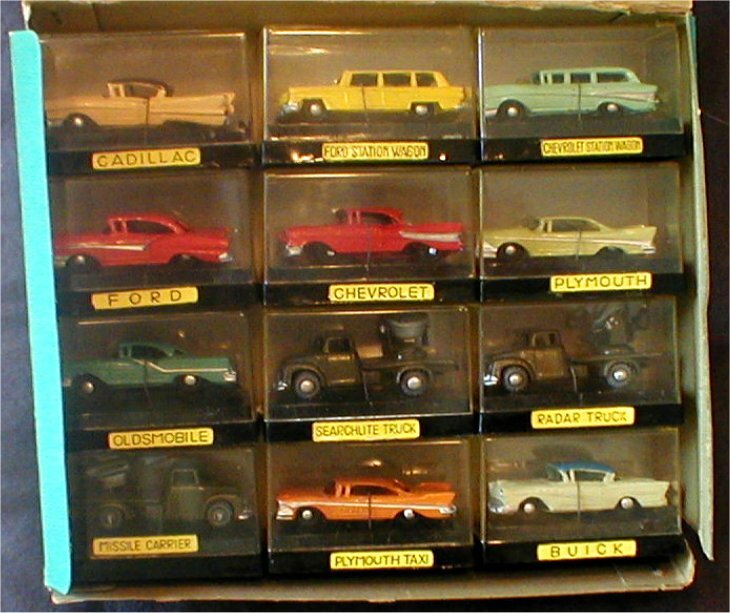 Besides the packing shown in the pictures below (each model packed seperately in a plastic case) the models have also been sold tied to cardboard (12 pieces, each seperately fastened and with tear-off lines inbetween so the models could be sold seperately). 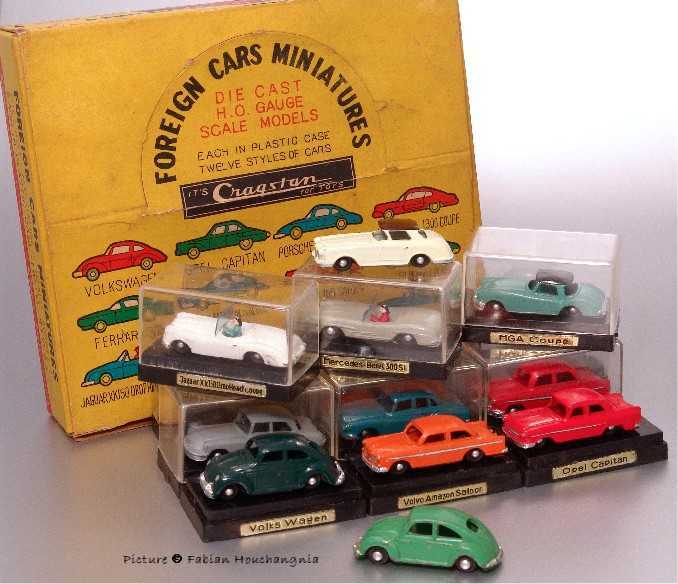 Two Volkswagen Beetle versions from the Cragstan II set, the left one with the small rear window, the right one has the larger rear window.